Are you aware of all the chemicals you use in your house on a daily basis? 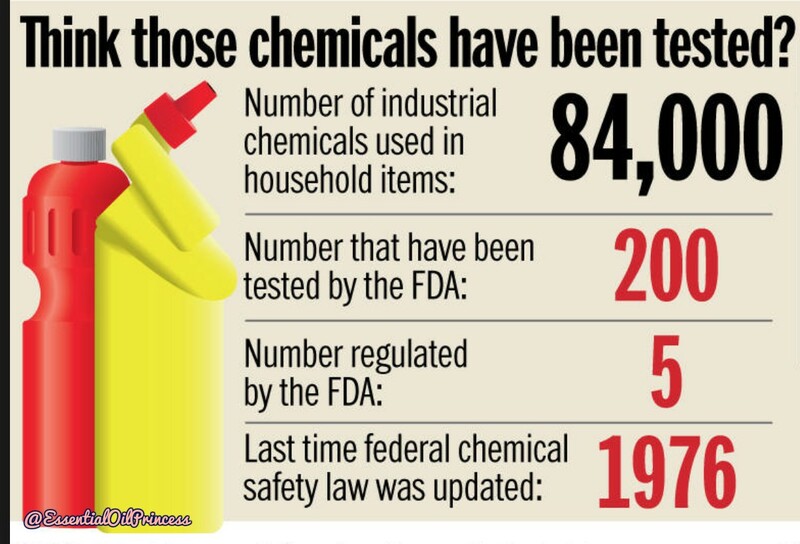 There are 84,000 chemicals used in household cleaners and only 5 of them are regulated by the FDA! Did you know that household cleaners are 3 times more likely to cause cancer than air pollution? Send me an email to receive my latest newsletter on how to live chemical free!